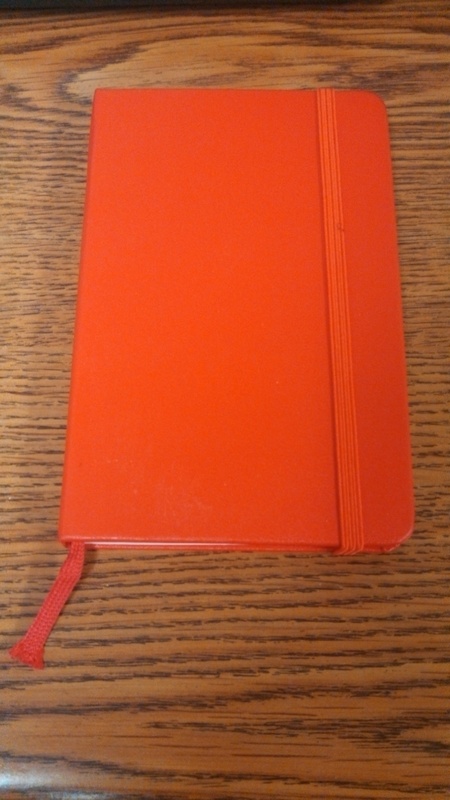 A few months ago, I went over to Barnes & Noble and picked up a small red Moleskin notebook. The purpose of my purchase was to use it as a reflective journal for me to jot down thoughts & observations from each day. As a coach, I am in the business of constant improvement and a journal allows me to process and understand what I learned and did each day, so that I can be better the next day. For the first two months, I left it on my bedside table with the intention of writing in it every night before I went to sleep. While this worked out well in the beginning, soon my recruiting schedule interrupted me. My observations became intermittent and I would write when I could – not the most productive use of my notebook. For the last month, I have brought my notebook to my office. It sits right next to my mousepad and I write in it every night before I leave the office. As a way to direct my writing more effectively, I have taped a small piece of paper under my mousepad with three questions on it. These questions were pulled from an article about what the top CEO’s do to find continued success. 1. What three things did I do well today? 2. What is my number one most needed improvement for tomorrow? 3. What is the one thing I can do differently to help make the needed improvement? After I answer these three questions, I write down general thoughts about my day. Finally, on the other side of the page I write down a phrase that I found to be inspiring or pointed towards my area of improvement. A quote, a word, a message, whatever I feel is something I need to remember. My diligence in keeping this notebook has made me a better coach and a more effective recruiter. It has helped me to understand my strengths and weaknesses and evaluate them every day. The self-discipline and self-accountability it fosters will help me to continue to improve throughout my career.